The question can either be different songs from the same anime [Openings, Endings, Insert Songs, Soundtracks (even character songs)] or by the same singer. Try to give a video from YouTube if you can find one. This means if you haven't heard it, you have to listen to it for at least a minute (unless you know you don't like it 30 seconds in). Example: User 1: Golden Time Lover - Sukima Switch or Shizuku - Sukima Switch? I'll Believe - Altima or Joint - Mami Kawada? Re: Which anime song do you prefer? Until I can actually post links, I'll just say what to search on YouTube. I will give this a try! Sounds interesting, just give me some time to pull up the vids lol. I am not really a fan of that 7 day rule either. But, I suppose it is somewhat understandable for security reasons. 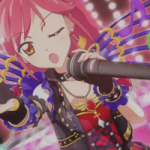 On a side note, I really like your sig, Reki. Some sort of interactive list of watched anime? Yeah, that's what it it is. And as this clearly doesn't count for the game, I'm not going to continue but I'll wait for you to reply here again, before anyone else is allowed to, since you said you will search videos. Hopefully this is what I am searching for lol. I'll post links for the audience here. Silly me forgot to add this. I prefer Beginner - AKB48. Catchy. By the way I have not watched that anime, but I am curious what those string of numbers and letters mean for the title. Maybe its a spoiler but I am curious nonetheless. Reminds me of a AK47 gun though haha. Unrelated but I really liked the ED - somehow I came across that when searching. Here we go! A "biased" entry! Viserys wrote: Hopefully this is what I am searching for lol. I'll post links for the audience here. I prefer the OP Non Stop Road. This time I'll use the same singer instead of anime. In the anime, there was apparently a group with the same name as the in real life group of 64 members, AKB48. I'm assuming the 00 in the name of the anime and the name of the revival group in the anime, stands for the year the environment on Earth was destroyed, and the rest is the same as AKB48. Reki - You should be able to post links now. I'll pick Sakamichi no Apollon's opening. I'll pick I Love you. I'll say Karakoi ~Dakara Shoujo wa Koi wo suru~ for this one.